Bring your group of ten or more people to the Springfield Museums and enjoy a discounted rate. We can tailor your tour so you can discover our collections and exhibits on your own or with a trained and friendly docent. A highlights tour is available in each museum. Advance reservations are required and should be made at least four weeks in advance. Note: Groups cannot be accommodated on Friday, July 20, 2018. 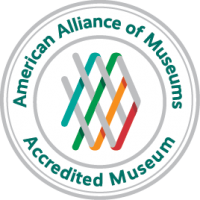 How did you hear about group tours at Springfield Museums?